Scrooby Manor, Nottinghamshire, England. Once a magnificent Archbishops’ Palace residents and visitors included King Henry VIII and Cardinal Wolsey. Pilgrim William Brewster also worked at the Manor. Scrooby Manor shares the Pilgrim narrative of fear, secrecy, hope, community, survival and new beginnings. The is the untold story of an English Manor House where the people here would come to define the spirit and ideals of the United States of America. During a period of religious persecution, the seeds of British American history were sown in a rural pocket of Nottinghamshire, Scrooby. In 1620 a ship, the Mayflower, set sail for the New World. Years before this a group led by a William Brewster of Scrooby gathered to plan a new life. Today, there are up to 30 million living descendants of those passengers, known as the Pilgrims. Nearly 400 years later a group of them make their own pilgrimage back to England and the village of Scrooby. Parts of Scrooby Manor still stand, but what remains of the original building? 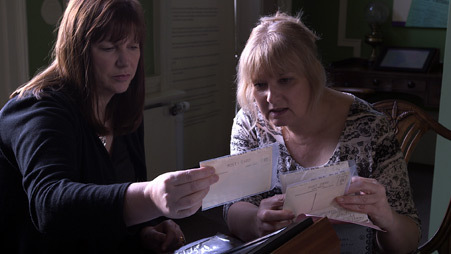 The current owner, Julie Dunstan, seeks out local historian Sue Allan to help her investigate. A close friendship develops as they go in search of Scrooby Manor. What they find, once revealed, writes a new history. Follow the progress of the film on Facebook. Support this film by making a donation via PayPal. To be the leading British film in the countdown to the 2020 anniversary of the Pilgrims leaving England 400 years ago. The film presents audiences with the very magical place of Scrooby, its Manor and the people who live there and visit it. The area’s cultural assets and countryside are celebrated. The film has been kick-started by the Director and requires support to be completed. Jane is passionate about the role of the filmmaker and the power of visual content to raise awareness and promote thought. Her style weaves strong human-interest stories with solid research, stunning images, thoughtful music and clear commentary. Every project is greeted with curiosity and innovation. Over the last few years, Jane has developed a personal relationship with the Dunstan family of Scrooby Manor, together with local author Sue Allan. Jane has also generated a link with the Plimoth Plantation Museum in the USA. 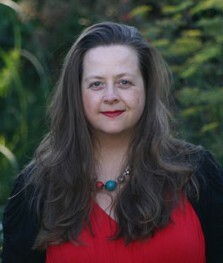 She is committed to seeing the film through to completion and has related projects in the pipeline. Julie Dunstan of Scrooby Manor & Sue Allan, Historian and Author. A visit to Bassetlaw Museum by Julie and Sue to search the archives for clues about Scrooby Manor. Old postcards and photographs by local photographer Edgar Welchman reveal new evidence about how Scrooby Manor once looked. Other locations featured in the documentary include York Minster, Cambridge, The National Archives, Tutbury Castle, Gainsborough Old Hall and Plimoth Plantation Museum. I have had a clear vision for this film from the start. Almost five years later and I’m almost there. But I need your support. There is more to be done – interviews, graphics, expert verifications and post production to drive this documentary through to completion. To make a donation of $1000 or more please contact me personally. I am happy to discuss corporate sponsorship and exclusive rewards for generous donors.